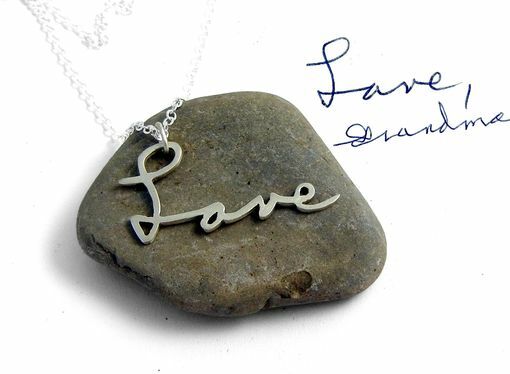 The idea for my handwriting jewelry started after my grandmother died in 2009, and I wanted to create a special necklace for my mother to keep her close despite her absence. But I also wanted it to be happy, uplifting, and capture the essence of my grandmother. 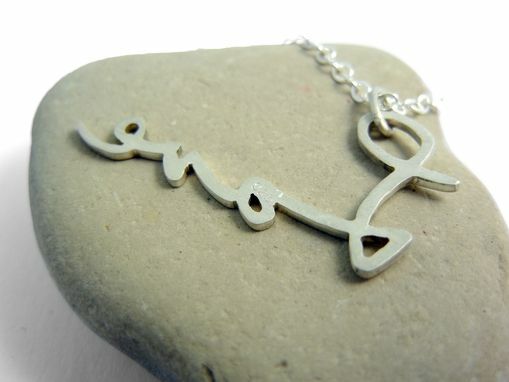 I found her handwriting translated all of these things into a beautiful piece of memorial jewelry. I ended up making these "Love" necklaces for all the women in my family, and now we all feel like she's still with us a little bit. 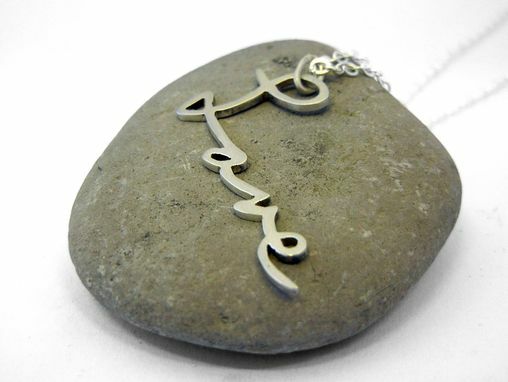 The necklace is entirely sterling silver, hangs from an 18" chain, and the writing varies in size but will measure on average about .5" high by 1.25" long. Back to Handwriting or Shop All.